This workshop has been designed to provide caregivers an opportunity to create and express themselves in a supportive environment while experiencing techniques for managing and releasing stress. No artistic or music experience is necessary for participants to benefit from this expressive arts workshop. This workshop is collaboration between Florida Art Therapy Services and the House of Music Therapy. 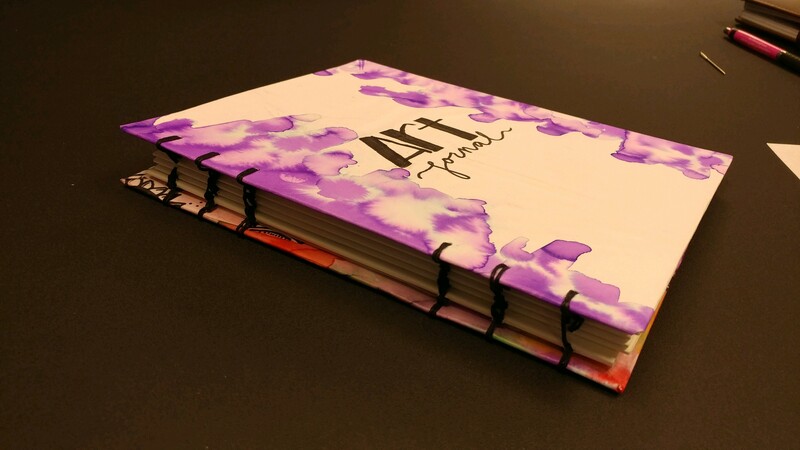 Learn t o create your own 48 page 8” X 10” hard cover hand-bound art journal. Monika will teach you coptic stitching that can be used to make many different types of hand-bound books. She will also share with you ideas for using your art journal. Materials Included: board covers, decorative paper to wrap cover, 80lb acid-free paper for inner pages, embellishment supplies, needles and threads for binding. Advanced Registration is required. Please email Reina@floridaarttherapyservices.com to register for this workshop. Your Instructor for the workshop is Monika Urbanska.